Tiger's eye is a very protective stone. It has powerful, dynamic energy with a watchful quality to it. Specific colors of your tiger's eye stone—from golden yellow to deep reds—will express, in different degrees, strengthening and grounding energies. 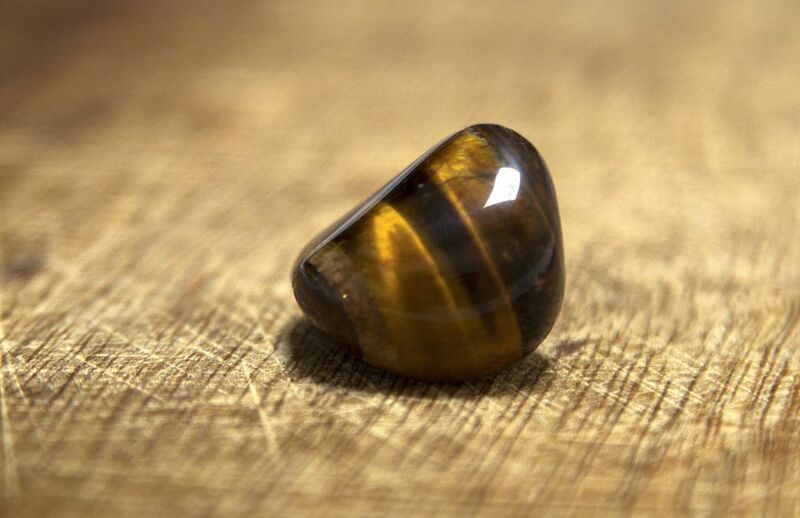 Tiger's eye also has a mystical, opalescent quality to it, and the combination of solid black color stripes with shimmering golds, browns, and reds make for a very special stone indeed. What Is So Special About Tiger's Eye? Tiger's eye is a favorite when it comes to protective stones. Much like with the Dzi beads, the watchful eye energy of the tiger's stone has long been used in various forms of jewelry and protective home decor. Unlike other protective stones, such as carnelian or black tourmaline, for example, a tiger's eye can also help balance and clear emotions, thus contributing to a calm mind and peaceful disposition. Where Does Tiger's Eye Come from? Most of the tiger's eye stones come from India, US, South Africa and Australia. In feng shui, tiger's eye is used for its protection and clearing properties. You can find tiger's eye's energy employed in various feng shui cures, from wind chimes, pi yao and balls to specific feng shui carvings such as mandarin ducks, hearts, etc. Metaphysically, tiger's eye is attributed many healing properties; here are the most popular ones. Tiger's eye is one of the birthstones of the astrological sign of Capricorn. Because the tiger's eye has strong protective qualities, one excellent placement of this stone is near the front door or a big window. You can also place a tiger's stone in children's rooms. To benefit from clearing and calming properties of tiger's eye, place several stones in your home office. Tiger's eye can also be a good feng shui enhancer for the West and Northwest bagua areas of a home or office because it brings a quality of energy that is clear, crisp and earthy. Crispness and clarity are the properties attributed to the Metal feng shui element that dominates these two bagua areas. The earthiness of the tiger's eye is supportive of Metal, so the combination of two makes the tiger's eye an excellent feng shui cure for either of these two bagua areas. Depending on your needs, you can choose a typical classical feng shui cure in tiger's eye, such as the pi yao, for example, or you can go for several tumble stones in a bowl. You can also decorate with a sphere made from a tiger's eye, or find a gem tree that has tiger's eye in it. Of course, good feng shui jewelry, as always, is such an excellent option to benefit from the powerful energies of any crystal or stone. From tiger's eye bracelets to rings and pendants, choose what works for you the best. A couple of smooth tiger's eye tumbled stones in your pocket or purse might be a more practical idea if you do not like to wear jewelry. As with most crystals and stones, do not forget to clear the energy of your tiger's eye from time to time.